A quick post to let you know that we were let back into our house over the weekend. As there had been no power for two weeks, we were greeted with the stench of rotting food from our fridge and freezer. It has been quite a clean up here over the last 4 days. I am doing my best to get us all back on track and things with the store look good. I ask for your patience during this time as we finish the clean up and get things rolling as “back to normal” as possible. We will begin shipping orders tomorrow and hopefully Canada Post won’t thwart our efforts with a postal strike. Cross those fingers! Hugs and thanks to you all…. As you probably noticed, there have not been any posts in a few days. 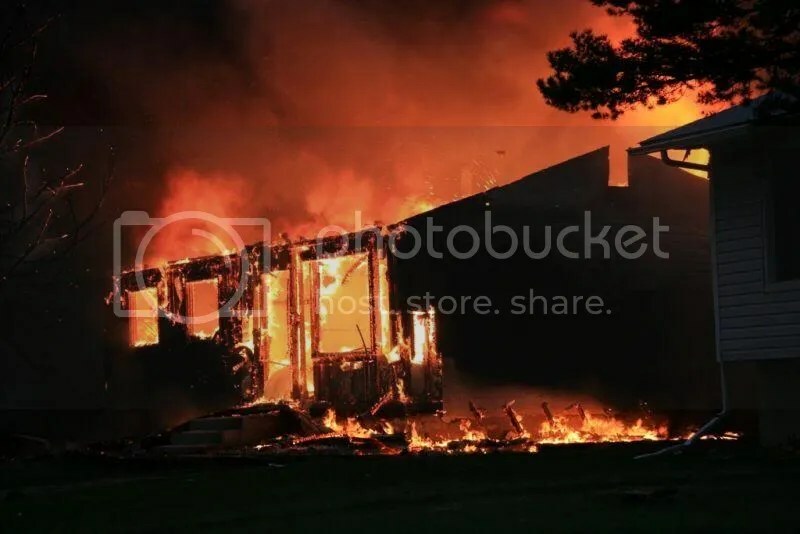 That’s because we are based in Slave Lake, Alberta and if you have been following the news, you know that we had a huge wildfire ravage our community. Many of our friends and family lost their homes and none of us know what we will be coming home to, whenever that may be. The town is so unsafe right now that no one is allowed in. I have no idea how much damage was done to my house or even if I have a store to run when I get back. It may be days or weeks before I know anything. Everything is so uncertain so I ask for your prayers and your patience during this time. 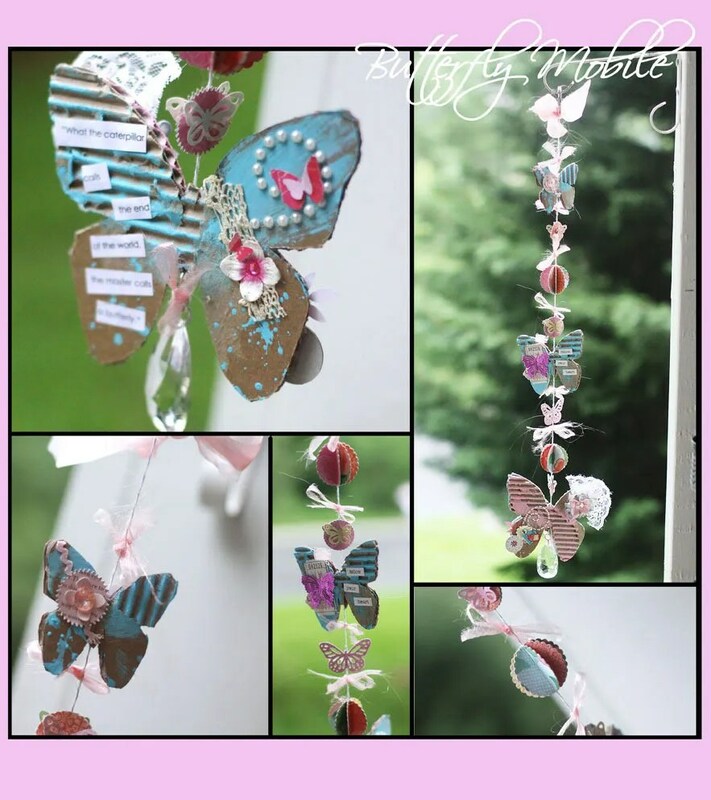 With the temperature getting warmer and warmer, I thought this butterfly mobile by Auntie Recreates would be seasonally appropriate. It is also a way to reuse some cardboard that you may have laying about the house, waiting to be recycled and repurposed into something pretty. Now who wouldn’t like that? I hope the sun is shining upon you and you are enjoying blue skies as I am here. :0) What a great day to scrapbook in a sunny window. Come shop with us online or book an appointment to come by in person–we’d love to see you! Talk about a fun way to dress up a package–fabric tape! And the possibilites for patterns are as endless the varying types of fabric. Too cool! 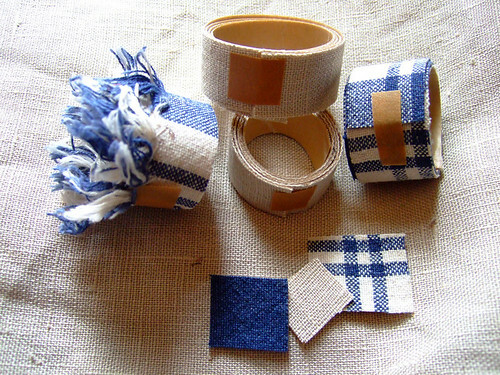 See how to create this versatile tape here at Annekata’s blog.